I love that late summer fade as blooms become tired and give way to fruit. Yesterday I walked all the field margins looking for blackberries - they are barely ripe up here in the wind. Disappointed I head back to the garden where I remember the cobnuts apples and plums. Mr.Lane loves cobnuts and I? .....love crumble. This one is Apple and plum with a dash of blackberry! PS Hello Jody and welcome to East Sussex! Hope you are settling in OK? PPS Cassie - I have saved you a bowl of crumble! 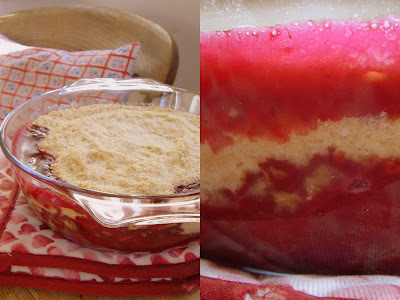 Made some apple and plum crumble the other week, lovely. Lost me entirely on the cobnuts??? But I found my why back to you when i heard crumble. yes it's nearly time to go blackberry picking.....lots of crumble! DIVINE photos and I love crumbles too. thanks for sharing this summer moment with us. P.S. I'm going picking today! Peaches are in season here in Michigan and I have been wearing the juice on my shirts everyday. Better to make a nice cobbler!! I didn't realise you picked cobnuts when they are still green. We've got a hazelnut bush and I've always left them to ripen - and then they've disappeared before I've got to them. Can you eat them straight away? Do you know - for all the years I have lived here I have never tasted a kentish cob - whey hey! Not to my knowledge anyhow. Found your blog via Sharon Lovejoy . . . so happy I did, have wandered around here for the last hour. Love what you're doing. Love where you live! Thank you for the views! that looks and sounds delish, we usually go blackberrying in late august or early sept. I love making jam with them and any leftover get put in a crumble. Yum! yum! What a super-duper crumble, with cobnuts! I'm moving to Kent!!! Delicious summer bounty! I love crumbles! Beautiful photos. Have a great day. Thanks so much for your comment. Ah, Charlie Mouse! (to be said in a very high, squeaky voice) - I love him. I have one actually - he plays the 'we will mend it' song when you press his tummy. Yeah, I'm okay - nice of you to ask. But tired, but fed up with the grind of retail. But tired of being broke. Wish I was more successful business woman type! I love your Emma Bridgewater oven gloves on the post! We may be getting goats in near future - two or three. Mike says we should call them Emma, Cath and Laura after the 'holy trinity' of Bridgewater, Cath K and Laura Ashley. Haha.